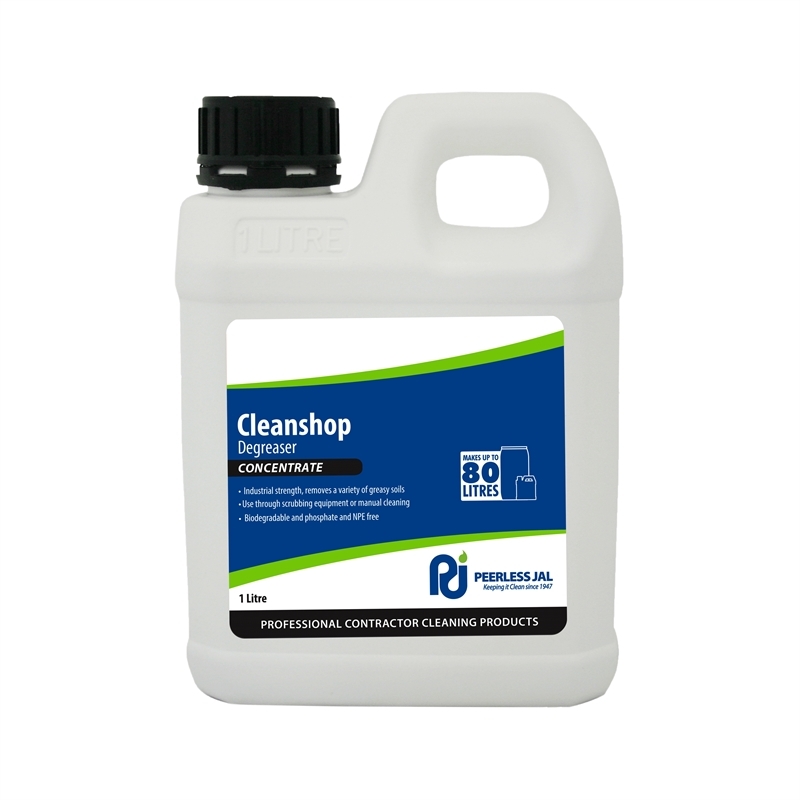 Cleanshop is an industrial strength cleaner degreaser formulated to remove a wide variety of greasy soils. Cleanshop can be used in high pressure water cleaners, steam cleaners, automatic floor scrubbing equipment as a spray and wipe or bucket and mop cleaner. Avoid contact with skin and eyes. Wear gloves and eye protection when using or mixing. Irritating to eyes and skin.